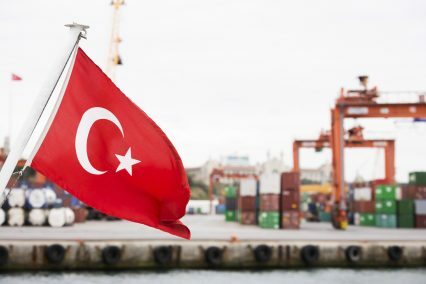 Turkish lender Odeabank has received a US$50mn trade facility from the European Bank for Reconstruction and Development (EBRD) to support its international trade operations. The facility is part of the EBRD’s trade facilitation programme (TFP). Under the terms of the facility, the EBRD can issue guarantees in favour of international commercial banks covering the political and commercial payment risk of the transactions undertaken by Odeabank. “We are pleased to welcome Odeabank into the TFP and also strengthen our co-operation with the bank in the area of trade. The programme will help Odeabank to better meet the trade finance needs of its clients and further expand its activities in that sector,” says Jean-Patrick Marquet, EBRD director in Turkey. “Through this contract, Odeabank aims to diversify the support it provides for trade products,” adds Alpaslan Yurdagül, Odeabank’s banking assistant general manager. Turkey is the one of the biggest recipients of EBRD finance, with almost €2bn invested in the country in 2015 alone.